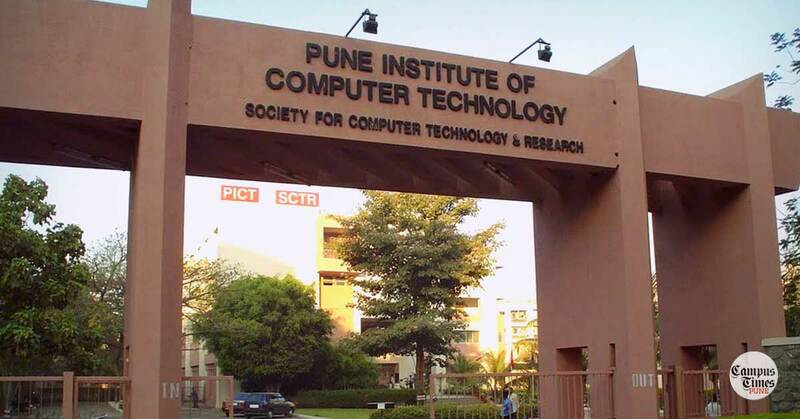 Pune Institute of Computer Technology, commonly known as P.I.C.T. is a private engineering college located in Dhankawadi, Pune, India established by the Society for Computer Research and Technology in 1983. It offers degrees in Computer Engineering, Information Technology as well as Electronics and Telecommunications Engineering. In this article, we present to you 13 honest things about PICT collected from Shweta Shinde (Alumni , PICT) and several students of PICT who did not wish to be named. Big Heart Inside a Small Rib-cage! PICT isn’t so fortunate when it comes to open spaces in the campus. There are lot of buildings that are crammed up together. The campus is too small if compared with the other colleges. To be honest, I was utterly disappointed on my first day in PICT. In fact, the campus is so small that you would go past it thinking that its a boy’s hostel. If there is anything that would make your life in PICT more cherished(or should I say nourished? ), then it has to be the lane in front of PICT. Veg, non-veg, chaat, breakfast, refreshments, CCD… the list goes on! I gained 7 kgs in 3 years of my life in PICT! There is always something new to try everyday! Heaven for hostelites. PICT is located in Dhankawadi, almost touching Katraj. Its way too far from the city. So if you have to plan something then it has to be somewhere in Shivajinagar or Swargate. City Pride is close by but still you gotta travel a bit. On the flip side though, accessibility is not a problem at all. Tons of buses go to and fro via Pune-Satara road. So yeah outings are kinda manageable. And hey there’s Snake Park within sniffing distance from PICT. I’ve been there so many times with my buddies that the animals there, kinda recognize me now. a.k.a InC, is the event that all engineering students across Maharashtra look forward to participate. This is a totally technical event but number of the footfalls cross over 9k! Spanning across 4 days (this is year though it’s gonna be 3 days), this event surely won my heart as a PICTian. Even after high number of registrations in this small campus the event management is always close to perfect. Some participants even get job offers. Placements are something that attract attention of the students seeking admissions in an engineering college. And PICT is way ahead when it comes to placements. Here, companies offering 3 lakh package are either not entertained or they come at the very end of placement season when majority of the students have already been placed. Ohk so yeah, whatever they have mentioned in the brochures regarding the placements, well… fortunately they are true! Hallelujah! The security guards at the PICT gate have one simple rule: If you wanna enter the campus show us your ID card. No matter who you are, a staff member, a student, an alumni, or bade ghar ka bigda hua aulad, it just doesn’t matter at all. You HAVE to show the ID card! I wonder what treasure are they trying to protect! And another funny thing about the PICT gate is that there is only 1 gate for the entire campus and its located too deep off the the right side of the road. If you’re going there for first time, trust me, you’ll go right past it and still won’t find the gate! There’s something between the students of PICT and the faculties. The students are so damn scared of the faculties that they try to run away from them at the first possible chance. May be its the history between them that brings out the fear. And there have been many incidents where in the students got into trouble for absolutely no reason! No no, not talking about the drug addition or Enrique Iglesias. Addiction is the annual cultural fest of PICT that is normally held in January. It spans around 4 days. The catch here is that ONLY inexperienced 2nd year students can organize the event. So the planning, management and all goes down the drain sometimes. Apart from this, events like Credenz, Elevate, Impetus & Concepts are some of the college festivals of PICT. Out of all the problems that you’ll face during your stay in PICT, the toughest of them all is the submissions. The faculties are so friggin’ cruel there that for a moment yo’ll regret coming here. They are abso-friggin’-lute cold-hearted blood-suckers! Submit this, submit that, this is not proper, that is not proper…… Aaaaarrggghhh!!! I wish I could do that in college! Canteen - A No go! Canteen in PICT is just a namesake structure. And hygiene level over there is at -10%! I went there for the first time 1 year after joining PICT. And that was my last visit till date. Anyway, PICT doesn’t need a canteen in the first place! Same applies to the Basketball court in the campus. That court is used for everything except basketball. PICT IEEE Student Branch (PISB) is said to be one of the largest student branches in Asia! (Yes…the WHOLE OF ASIA!) With a number of National IEEE conferences being held, it’s no surprise every second person on campus is an IEEE Member! Credenz is the event held every year by PISB. It is a technical event and students die to participate and win competitions at PISB Credenz. 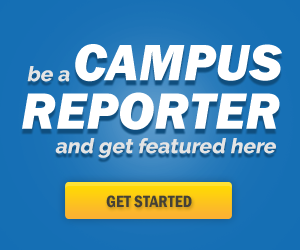 Can You Tell Us 13 Things About Your College? Pune Institute of Computer Technology falls in the top 5 engineering colleges in Pune. This guide will help you reach PICT during admissions.